WORLD | 26 November 2018 – Since May 2018, at least a dozen women’s rights defenders have been arrested and subject to human rights violations for their activism in Saudi Arabia. Recent reports have emerged that some of the detained women activists have been subject to electrocution, flogging, sexual harassment and other forms of torture. Testimonies recount that this abuse has left some of the women unable to walk or stand properly with uncontrolled shaking and marks on their bodies. One of them has attempted suicide multiple times. “Since May we have been advocating for the unconditional release of Saudi Women’s Rights Defenders – and to learn of the torture WHRDs are subject to fuels our work even further,” said Uma Mishra-Newbery, Director of Global Community from Women’s March Global. 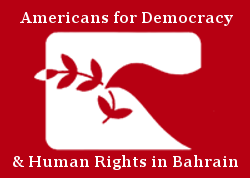 A campaign launched by members of the Free Saudi Women Coalition – including Women’s March Global and Coalition partners, the Gulf Centre for Human Rights (GCHR), the International Service for Human Rights (ISHR), CIVICUS and Americans for Democracy & Human Rights in Bahrain (ADHRB) – has been advocating for the immediate and unconditional release of Saudi women human rights defenders. Over 240,000 signatures have been collected on Women’s March Global’s Change.org petition calling on the United Nations to hold Saudi Arabia accountable. Over 170 NGOs called on the UN to suspend Saudi Arabia from the UN Human Rights Council and to hold an inquiry into human rights abuses in the country. Notably, Saudi Arabia has silenced women human rights defenders for decades, and those recently arrested are not the only ones in prison, where other women are serving prison sentences or even facing execution for protesting. “Authorities continuously violate rights to peaceful assembly, curb the formation of independent civil society organisations, and restrict freedom of expression for Saudi activists” said Masana Ndinga-Kanga, MENA Advocacy Lead from CIVICUS. “The very women at the forefront of campaigning for the right to drive, which was recently granted, have been detained for their calls for an end to the male guardianship system over women.” Saudi Arabia is rated closed on the CIVICUS Monitor. “Women human rights defenders in Saudi Arabia, in the absence of any independent NGOs, provide a vital lifeline of support for equality and protection from violence for women of their country who are left with blocked access, inadequate resources or ineffective protection from violence of all forms,” said a Saudi human rights defender who can’t be named in order to protect them. The coalition partners have called for international action, including ending arms sales to Saudi Arabia, which is enabling the war in Yemen since 2015. Salma El Hosseiny, ISHR’s Human Rights Council Advocate said that UN Human Rights Council members should call for a Special Session on the increasing internal repression by the Saudi authorities against human rights defenders, journalists and other peaceful critics. “Silence by the world’s top UN human rights body on these egregious violations would only embolden the Saudi authorities to escalate their internal repression, continue to torture defenders, with complete impunity”, said El Hosseiny.